Right behind this building is a former coach house which, to the Donoghue family, was always known as 'the bandroom'. Some of my informants referred to it as 'the Brass Band House', while others told me that, from the 1920's to the '40's, rehearsals took place in variety of locations; 'The Hut' (later Bannan's Hall and, currently, the Reliable House Furnishers premises on Station Road), a long-demolished room on the Dublin Road near where the St Vincent de Paul shop is today and, most recently, Factory Lane off Grattan Street. Another relic of the days when coaches ruled the roads is the stone wheel-guard in the bottom left corner of the picture. Only five other wheel-guards survive in the Market Square/Main Street area, but this free-standing one is unique. In the 1850's, these premises were leased from the previously-mentioned Onions family and run as a Public house by Catherine Dunne. For almost thirty years from the 1860's, Martin Dunne - who, presumably, was Catherine's son or nephew - had a similar business here. In the 1890's he was succeeded by James Ward and his wife Mary Anne. [The final year of the nineteenth century was definitely not a good one for the political ambitions of Market Square publicans: Mr Ward completed the trio of Urban District Council aspirants who bit the proverbial dust.] He appears in the 1901 Census Form as 'Shopkeeper', but, ten years later, when the family is living just across the lane (See entry for No. 1) he is described as an RIC Pensioner. In 1911, the Census lists William Ernest Roe, a Merchant, his wife Annie and their teenage daughter Helen Mayberry as living in No. 24. But according to the Cancellation Books it was the Kinsella family (See entry for No. 22) who were here at that time. Next came a Thomas Custy from whom Ellen Meade - who in 1911 had a Licensed Premises on Main Street, Mountrath - bought the licence in 1916. I have been told that, following her marriage to John Dwyer, the premises were painted blue and gold in honour of his native county....? The present business was established in 1946. (Don't Forget to Call when in Portlaoise to Daniel Donoghue, Beer, Wine and Spirit Merchant). 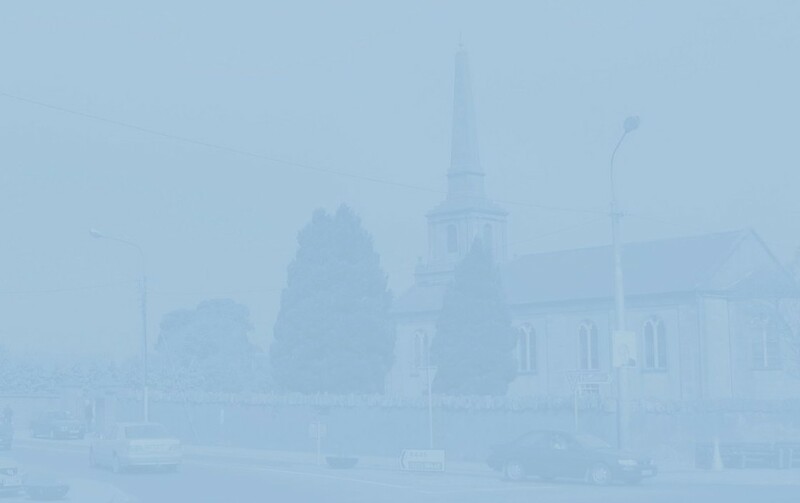 Prior to setting up here, Daniel Donoghue "served his time" in Fitzpatrick's shop at 52 Main Street, and subsequently operated a mobile shop for James Brown (No. 61, Main Street). 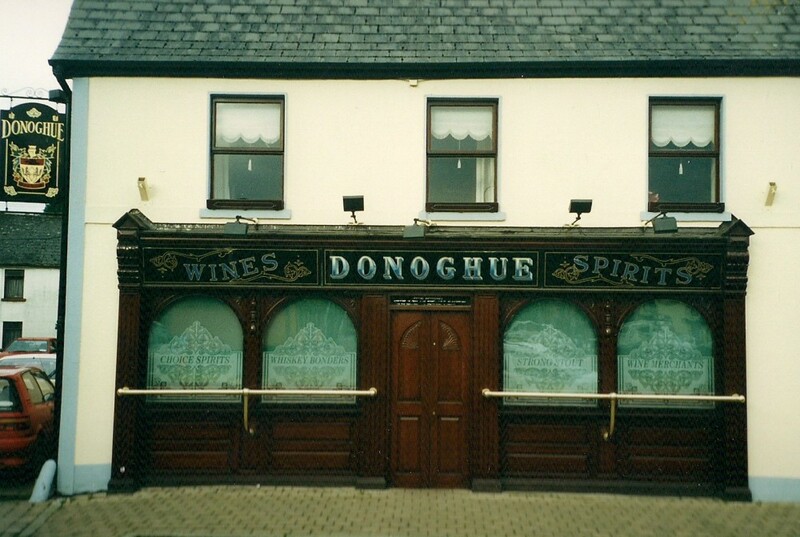 Because of its popularity with employees of the Electricity Supply Board, Donoghue's was traditionally known as an 'ESB house' (which inspired one habitué to remark that "the pint was shocking good" there). In the 1970's and'80's, it was frequently referred to as "the Teachers' pub".